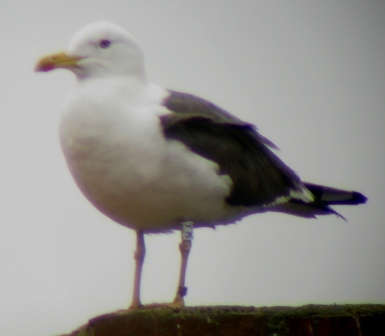 Many gulls at my patches today (110 LBBG checked: 7 colour-rings including 1 new one; also 1 Belgian metal-ringed bird read). 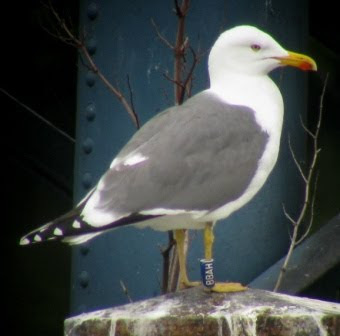 A nice surprise was the return of blue BBAH, a bird from the colony of Zeebrugge (but breeding in Vlissingen the previous years). The other birds were - not surprising - all from RJ Buijs's project, with still 1 new one (white M.6). 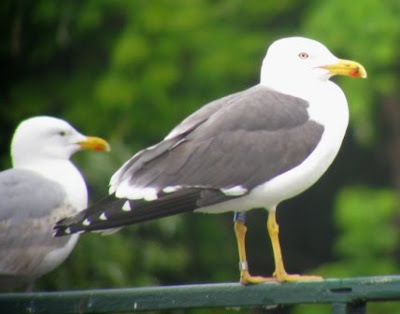 Of the other birds, white G.2 was present again, and the final observation of the 3 other birds was April 25th, so it was nice to see them again after two weeks absence. 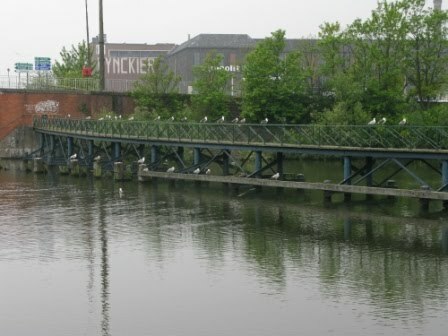 The Tolhuisbrug today, many gulls around! LBBG blue BBAH (E Stienen), my second observation of this bird, the first one was almost one month ago at exactly the same place. LBBG blue 1N (RJ Buijs, ringed by F Roels). 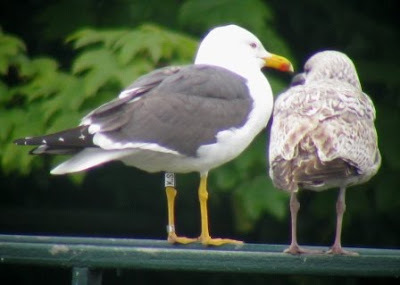 LBBG white K.S (RJ Buijs).